Do you need someone to send you a large document by email? Sorry to tell you that it might not work. Large email attachments might clog the sending or receiving email account or just timeout and fail to send at all. One solution is to share a cloud-based folder using Google drive, Box or Dropbox. But that can be unhelpful because the sender will have to install the software to use the service. And that can get very complicated if you are asking numerous people to send you files. But there's a new solution. 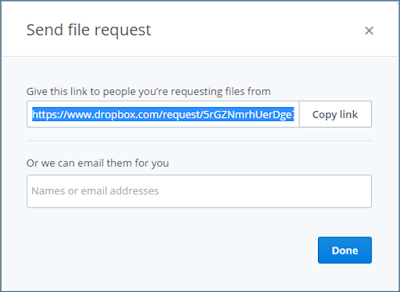 Dropbox has introduced a new feature that solves this exact problem. 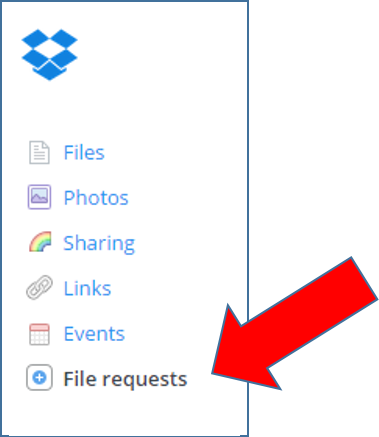 You can request files from users and they do not have to install Dropbox. Here's how to use the new "File Requests" feature. 1. Log into Dropbox on the web. 2. Click the "File Request" link in the left-hand menu. 3. Enter the name of the file(s) you are requesting. Photos from a wedding? Birthday party? Homework? Then confirm where in Dropbox you'd like the file(s) to go. Click "Next". 4. You can then copy the link you can use include in your personal email. Or you can let Dropbox send an email for you. That's it. 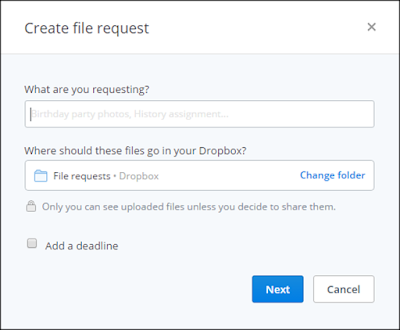 Your incoming files will come into the Dropbox folder you specified. And because it's Dropbox, you can see your files from any of your devices.